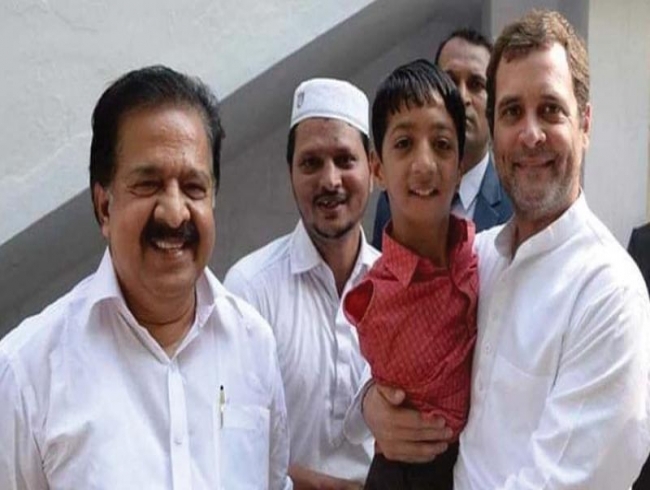 Thiruvananthapuram: The UDF meeting chaired by Rahul Gandhi in Kochi on Tuesday witnessed a high drama with Kerala Congress (Mani) chairman K. M. Mani and vice-chairman P. J. Joseph demanding an additional Lok Sabha seat. A section of UDF leaders feels it's uncalled for when the coalition is poised to win all seats as Mr Gandhi expressed confidence about in his "outstanding speech" at the public meeting.Much to the surprise of everyone gathered at Ernakulam Guest House, Mr Joseph stood up and said he wished to say something. At first, he urged measures to strengthen the education sector. Later, recalled that during 1977, both Joseph and Mani factions were having two Lok Sabha MPs each which has since dwindled to just one. A senior UDF leader said Mr Gandhi smiled and said that he did not wish to interfere in the seat-sharing mechanism within the UDF. "Mr Gandhi added that here there are so many experienced senior leaders, pointing his fingers towards A. K. Antony. They will discuss the seat-sharing mechanism about the UDF allies, he said. But immediately Mr Mani also stood up and repeated the demand which was all the more embarrassment," he told DC. Ramachandran intervened and tried to break the ice by saying that the issue can be settled after holding talks with allies. Interestingly, the Muslim League leaders remained mum. Mr Antony again intervened and said with experienced leaders here (pointing fingers at Mullappally and Opposition Leader Ramesh Chennithala), the seat-sharing can be amicably settled. But a senior Congress leader said Mr Joseph was worried about himself being sidelined in the party ever since Mr Mani returned to the UDF. A leader close to Mr Joseph said he was not taken into confidence when Jose K. Mani MP kicked off his Kerala Yatra from Kasaragod on Jan 24. "He was not privy to the meetings that decided the junior Mani's roadshow. But when a section of Mani group leaders urged him to take the party flag from Mr Joseph, he had to plead," he told DC. But even before that, Jose K. Mani expressed his inconvenience to attend the farmers' programme at Thodupuzha antagonising Mr Joseph further. The Joseph faction fears that once the Kerala Yatra concludes in the state capital, he'll take over as the new chairman of KC (M). Meanwhile, UDF leadership has decided to hold a high power meeting on Feb 1 here followed by the Political Affairs Committee of the Congress. Senior Congress leaders, MPs and MLAs attended the UDF meeting. MPs P. K. Kunhalikutty, E. T. Mohammed Basheer and P.V. Abdul Wahab, MLAs Dr M. K. Muneer and V. K. Ebrahim Kunju and Sadiq Ali Shihab Thangal represented the Muslim League. Other KC (M) leaders who attended the meeting were C. F. Thomas MLA and Joy Abraham. RSP leader N. K. Premachandran MP, Kerala Congress (Jacob) chairman Johnny Nellore and Anoop Jacob MLA, CMP's C. P. John, Forward Bloc leader G. Devarajan and Janata Dal (UDF) John John attended the meeting. League leaders posed for photographs with Mr Gandhi in his room after the meeting.